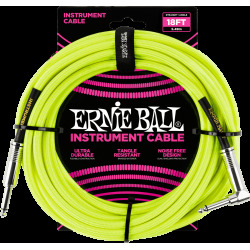 ERNIE BALL Jack/jack coudé 5.50 m rose fluo Avec leur finition originale et leur qualité de fabrication irréprochable, les câbles Ernie Ball sauront faire face à toutes les situations, en toutes circonstances. 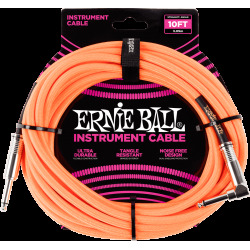 ERNIE BALL Jack/jack coudé 5.50 m orange fluo Avec leur finition originale et leur qualité de fabrication irréprochable, les câbles Ernie Ball sauront faire face à toutes les situations, en toutes circonstances. 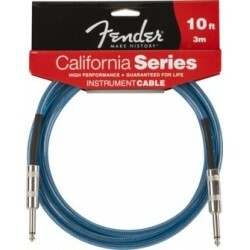 FENDER CALIFORNIA 3M LAKE PLACID BLUE Les câbles Fender California Series sont spécialement conçus pour de hautes performances. 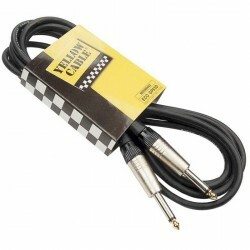 La tresse de blindage est en cuivre OFC pour une qualité sonore supérieure et un parfait équilibre des fréquences. 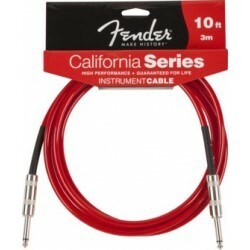 FENDER CALIFORNIA 6M CANDY APPLE RED Les câbles Fender California Series sont spécialement conçus pour de hautes performances. 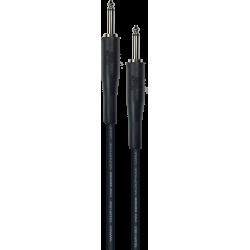 La tresse de blindage est en cuivre OFC pour une qualité sonore supérieure et un parfait équilibre des fréquences. 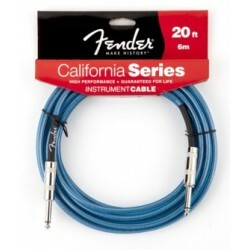 FENDER CUSTOM SHOP PERFORMANCE 3M TWEED Fender® Custom Shop cables are designed specifically for live performance—engineered to avoid twisting, kinking and any "physical memory." 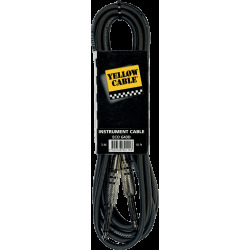 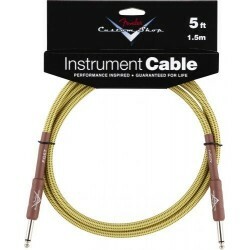 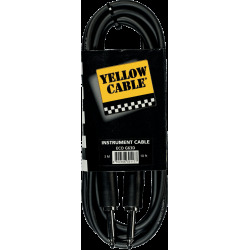 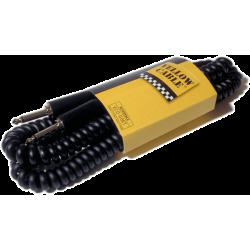 These meticulously constructed cables deliver the best sonic balance between your performance and your equipment. 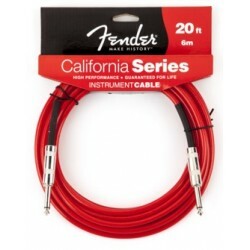 FENDER CUSTOM SHOP PERFORMANCE 5.5M Fender® Custom Shop cables are designed specifically for live performance—engineered to avoid twisting, kinking and any "physical memory." 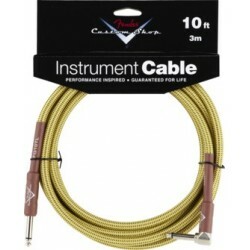 These meticulously constructed cables deliver the best sonic balance between your performance and your equipment. 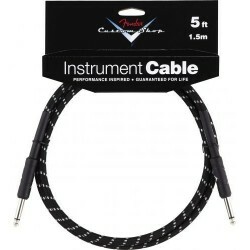 FENDER CUSTOM SHOP PERFORMANCE 5.5M BLACK Fender® Custom Shop cables are designed specifically for live performance—engineered to avoid twisting, kinking and any "physical memory." 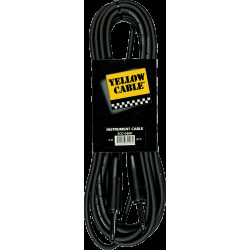 These meticulously constructed cables deliver the best sonic balance between your performance and your equipment. 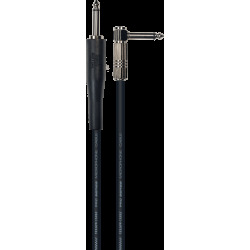 FENDER CUSTOM SHOP PERFORMANCE 3M COUDE TWEED Fender® Custom Shop cables are designed specifically for live performance—engineered to avoid twisting, kinking and any "physical memory." 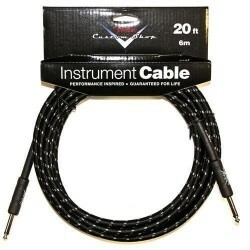 These meticulously constructed cables deliver the best sonic balance between your performance and your equipment. 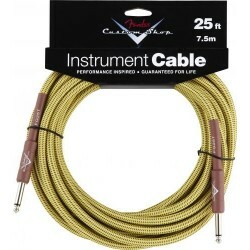 FENDER CUSTOM SHOP PERFORMANCE 5.5M COUDE TWEED Fender® Custom Shop cables are designed specifically for live performance—engineered to avoid twisting, kinking and any "physical memory." 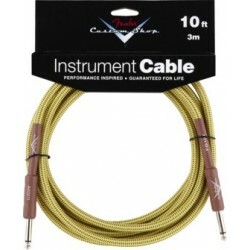 These meticulously constructed cables deliver the best sonic balance between your performance and your equipment. 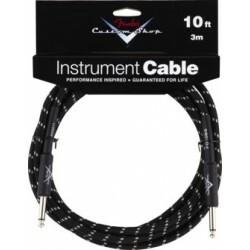 FENDER CUSTOM SHOP PERFORMANCE 3M COUDE BLACK Fender® Custom Shop cables are designed specifically for live performance—engineered to avoid twisting, kinking and any "physical memory." 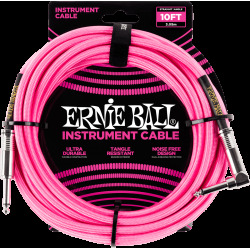 These meticulously constructed cables deliver the best sonic balance between your performance and your equipment. 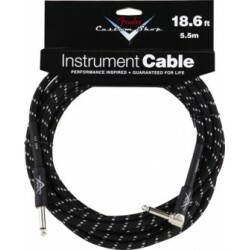 FENDER CUSTOM SHOP PERFORMANCE 5.5M COUDE BLACK Fender® Custom Shop cables are designed specifically for live performance—engineered to avoid twisting, kinking and any "physical memory." 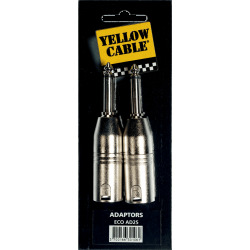 These meticulously constructed cables deliver the best sonic balance between your performance and your equipment. 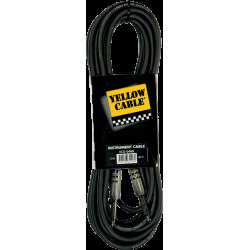 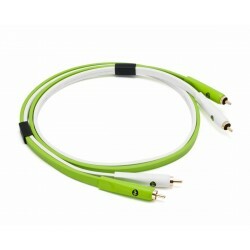 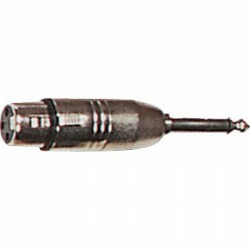 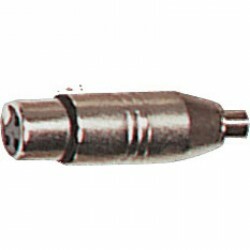 OYAIDE OY D+BRCA1M Câble RCA-RCA 1m Connexions analogiques pour les systèmes DJ sur portable et les CDJs. 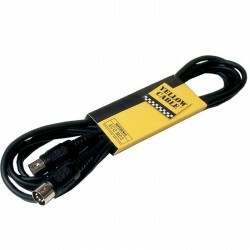 OYAIDE OY D+BRCA2M Câble RCA-RCA 2m Connexions analogiques pour les systèmes DJ sur portable et les CDJs. 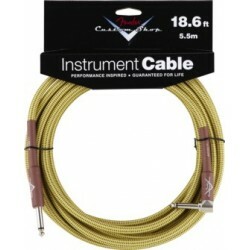 FENDER CUSTOM SHOP PERFORMANCE 1.5M TWEED Fender® Custom Shop cables are designed specifically for live performance—engineered to avoid twisting, kinking and any "physical memory." 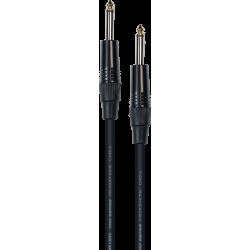 These meticulously constructed cables deliver the best sonic balance between your performance and your equipment. 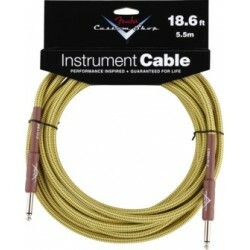 FENDER CUSTOM SHOP PERFORMANCE 7.5M TWEED Fender® Custom Shop cables are designed specifically for live performance—engineered to avoid twisting, kinking and any "physical memory." 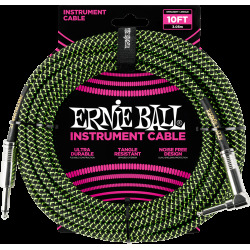 These meticulously constructed cables deliver the best sonic balance between your performance and your equipment. 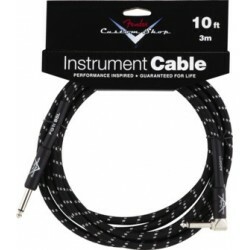 FENDER CUSTOM SHOP PERFORMANCE 1.5M BLACK TWEED Fender® Custom Shop cables are designed specifically for live performance—engineered to avoid twisting, kinking and any "physical memory." 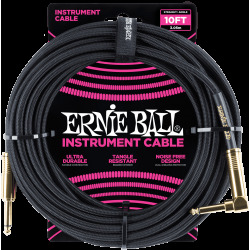 These meticulously constructed cables deliver the best sonic balance between your performance and your equipment.